What's the state of Obamacare right now? The Republicans' health care bill may be close to death, but Obamacare remains alive -- for now -- and in need of support. The Senate effort to simply repeal the health reform law stalled Tuesday after three Republicans senators said they would oppose the move. Senate Majority Leader Mitch McConnell had hoped to push the bill after the collapse Monday night of the months-long effort to repeal and replace Obamacare. President Trump, meanwhile, said Republicans should just let Obamacare fail to force Democrats to the table. But lawmakers will have to decide whether to shore up Obamacare or just let it wither. In some states, Obamacare is doing relatively well, but in others it's struggling and even starting to fail. Many insurers have stopped bleeding money from sicker-than-expected enrollees, but they remain wary about continuing to play on the exchanges. The number of insurers filing initial applications on the federal marketplace dropped 38% for 2018, the Trump administration announced earlier this month. Just over 25,000 people in 38 counties in Ohio, Indiana and Nevada are at risk of having no options on the exchange next year, according to the Kaiser Family Foundation. That figure could grow if more insurers get spooked by Washington's indecisiveness. Insurers aren't locked into participating in 2018 until late September. Open enrollment begins November 1. The Trump administration and Congress have sent mixed signals about Obamacare's future since President Trump took office in January. Clearly, they have been trying to eradicate the health reform law from Day One, when Trump signed an executive order seeking to ease the financial burden that the law placed on Americans, insurers and others. Republicans have also said again and again that Obamacare is collapsing and they must rescue the country from it. Trump has also unmoored insurers by refusing to commit to continue paying the cost-sharing subsidies. These payments, which reduce deductibles and co-pays for lower-income enrollees, are crucial to insurers, and without them, they would likely withdraw from the exchanges. The president has also cast doubt on whether his administration will enforce the individual mandate, which requires nearly all Americans to buy coverage or pay a penalty. The mandate is key to getting younger, healthier people to enroll. "The Trump administration is also in the position to do a lot of damage -- by announcing it is not enforcing the individual mandate or paying cost sharing reduction payments, for example -- and could quite possibly destroy the individual insurance market in some states if it chooses to do so," said Timothy Jost, emeritus professor, Washington and Lee University School of Law. At the same time, however, the administration and lawmakers have acknowledged they must stabilize Obamacare -- at least in the near term. The Health and Human Services Department addressed some insurer concerns earlier this year in hopes of strengthening the market. The agency enacted rules that tighten enrollment periods, allow insurers to offer plans that cover less of the cost of care but have lower premiums, and let carriers offer plans with fewer providers. Some in Congress recognize the need to bolster Obamacare, regardless of what happens with the legislation. Tennessee Senators Lamar Alexander and Bob Corker, both Republicans, introduced a bill earlier this year that would allow those with no Obamacare options in 2018 to use their federal premium subsidies to buy policies outside the exchanges. Also, it would waive the individual mandate for those in this situation. Even before the defections by the two Republican senators Monday night, McConnell acknowledged that Congress would have to take some action to strengthen the individual market. "If my side is unable to agree on an adequate replacement, then some kind of action with regard to the private health insurance market must occur," McConnell said at a lunch in Kentucky earlier this month, according to several media reports. "No action is not an alternative. 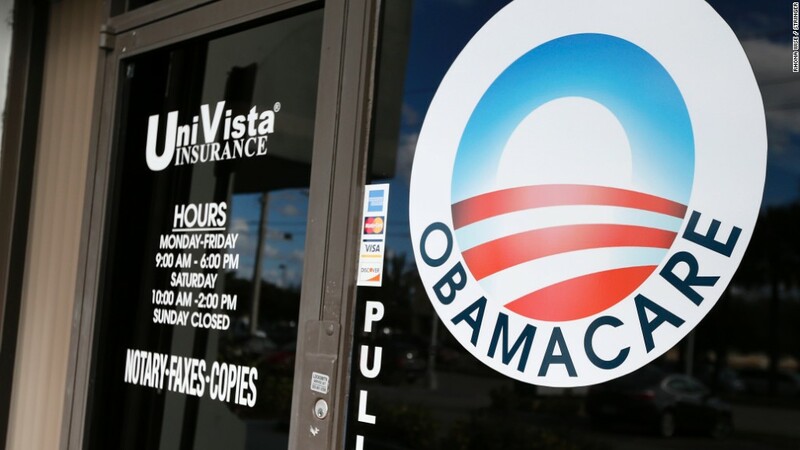 We've got the insurance markets imploding all over the country, including in this state." Republicans will likely feel pressured to do something even if the bill fails since their party controls the White House and oversees the Affordable Care Act, said Sabrina Corlette, research professor at Georgetown University's Health Policy Institute. "They could still face political fallout if insurers pull out or hike rates dramatically," she said. "The risk is that people will blame the Republicans because they are the people in power." So it won't be so easy for the Congress and the Trump administration to simply walk away from health reform even if they can't figure out a way to pass the repeal and replace legislation. A version of this story originally ran on July 12.